Cathy Carstensen was born on January 19, 1931, in Salem Oregon, where her family had farmed since the 1860s. She grew up in Kooskia, Idaho, where her father owned the local pharmacy. She moved back to Salem in 1945 and lived in Oregon for the rest of her life. She studied at Willamette University as had her mother and grandmother and obtained bachelor’s and master’s degrees in education from Western Oregon University. In 1955, she married Gus Carstensen, a fellow school teacher and the love of her life. They taught together in Portland and moved to McMinnville in 1964 to teach and to raise their family. In McMinnville, Cathy taught remedial reading to children at several elementary schools as well as tutoring migrant children and adults. She was a patient, playful teacher who always sought to make learning fun. She found special joy in helping children unlock the magic of reading. 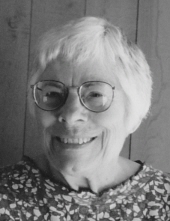 Cathy was not only a teacher but a lifelong student of life; she loved exploring new lands, learning new things, and having new artistic and cultural experiences. She and Gus traveled extensively, journeying to Europe, China, Japan, Australia and many other places, as well as roaming across North America. They frequently attended museums, concerts, plays and art walks. In McMinnville, they were active in church, local and national politics, discussion groups, and adult swim class. More than anything else, Cathy loved spending time with people she cared about. Her friends and family will remember forever her kindness, enthusiasm, her irreverent sense of humor, and her irrepressible laugher which was both a defense against sorrow and an outpouring of the boundless joy that was a key part of who she was. She was fun, witty, original, adventurous, and endlessly generous. We will miss her more than we can say, but we will carry the memory of her laugh and spirit until the end of our days. She was preceded in death by her son, Brian, who passed away in 1964 at age two. She is survived by her husband, Gus Carstensen; her children Carol and David; her son-in -law Jon; her grandchildren Alea, Miranda, and Rachel; as well as by the many friends, colleagues, and students whose lives she touched in so many ways. To send flowers or a remembrance gift to the family of Cathy Carstensen, please visit our Tribute Store. "Email Address" would like to share the life celebration of Cathy Carstensen. Click on the "link" to go to share a favorite memory or leave a condolence message for the family.